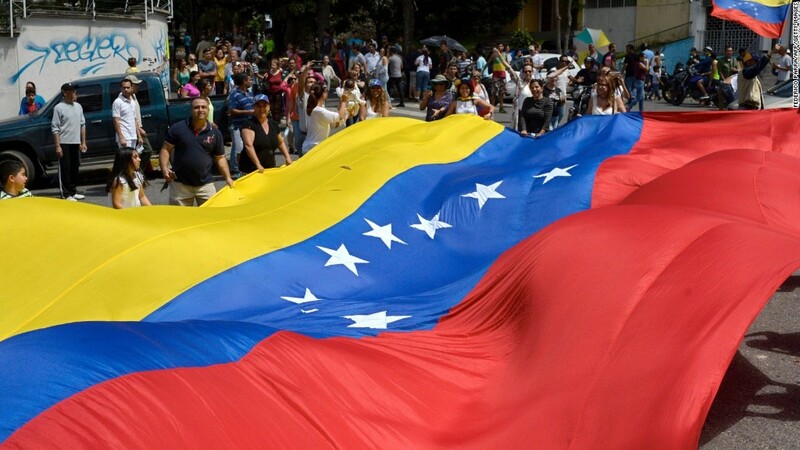 The Trump administration slapped sanctions on 13 Venezuelans associated with President Nicolas Maduro on Wednesday, days ahead ahead of a controversial vote that may allow him to further consolidate his power. Senior U.S. officials issued another warning: If Maduro goes through with the vote, President Trump would follow up with "strong and swift economic action," though they declined to elaborate. On Sunday, Maduro is set to hold a vote that critics say could further erode democracy in Venezuela. If it goes through, Maduro could replace the current National Assembly with an entirely new institution filled with his supporters. He could then rewrite the constitution to his liking -- his main aim. Maduro has "led his country down the path of dictatorship," one senior administration official said. "Now he wishes to throw out the constitution itself." Each of the sanctioned individuals is either a current or former leader in Maduro's government. Many are either in the national guard or a part of the commission conducting the vote. Others were former government officials. Their U.S. bank accounts were frozen and they were prohibited from conducting any businesses with American individuals. Among those sanctioned is Tibisay Lucena Ramirez, head of the National Electoral Council, which Maduro controls. Ramirez is accused of helping to organize Sunday's vote. One of the major question marks around U.S. sanctions is whether Trump would impose a ban on Venezuelan oil exported to the United States. Oil is Venezuela's only source of income, and some believe banning it is one of the few measures to really force Maduro to change his ways. Administration officials said "all options are on the table" but declined to comment specifically about oil. Some are concerned oil sanctions could worsen severe shortages of food and medicine in Venezuela or, separately, cause U.S. gas prices to rise. It's the third time Trump has slapped sanctions on Venezuelan officials. In February, his administration sanctioned Venezuelan Vice President Tareck El-Aissami. Later in May, Trump applied sanctions on eight Supreme Court justices in Venezuela, who were Maduro nominees.